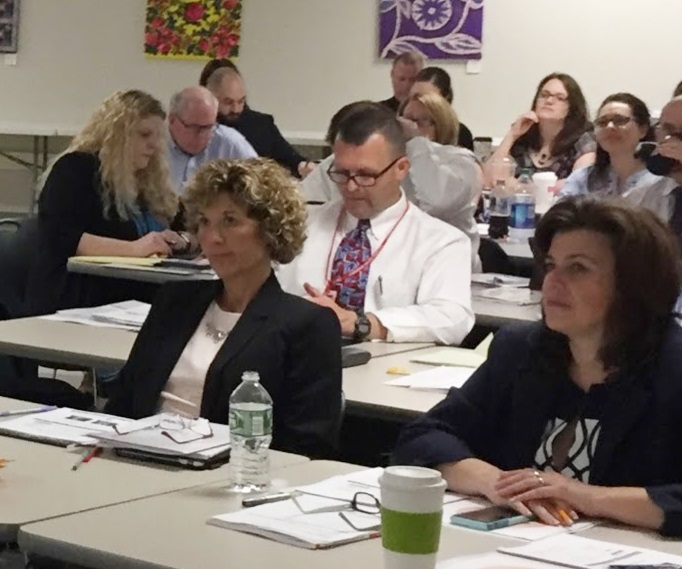 Administrators from around the Broome-Tioga BOCES region joined together with other administrators from around NY state on May 17th for a unique professional development opportunity. Balanced Leadership for Powerful Learning , facilitated by Bryan Goodwin and Tony Davis (McREL) and Kerri Bullock and Dawn Shannon (BT BOCES), was a blended professional development opportunity, that combined virtual presentations from the authors with onsite facilitation related to the content that was presented. 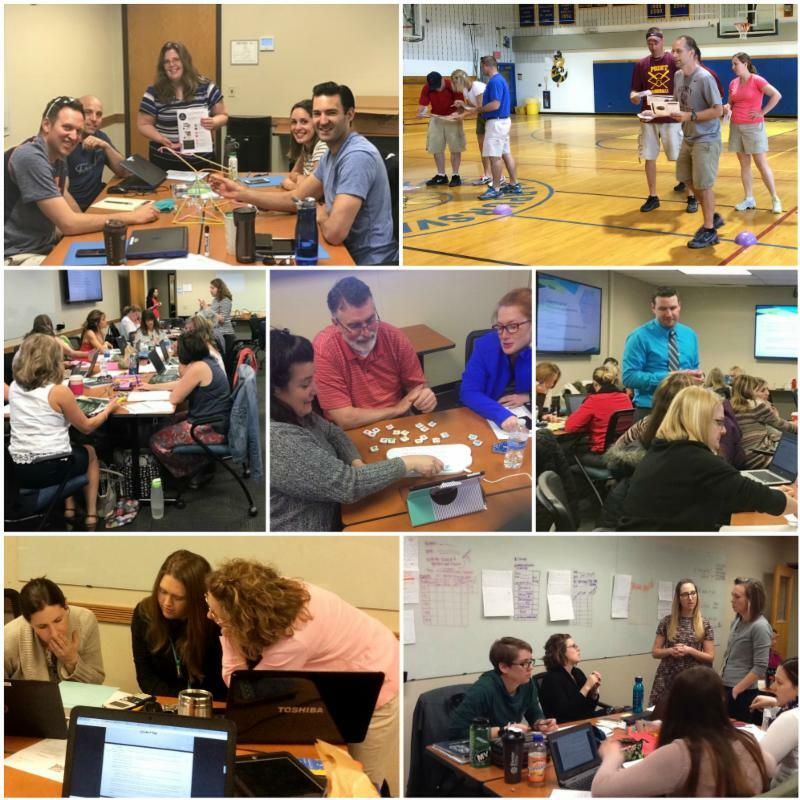 Participants learned about research-based qualities of effective school leaders and focused on three key roles that successful leaders must balance: being a visionary strategist, optimistic change agent, and purpose-driven team builder. The sixty participants enjoyed hearing from the authors and having the opportunity to collaborate with administrators from other districts in the region. We look forward to our continued partnership with NYS ASCD and other BOCES across the state to provide additional opportunities like this one! 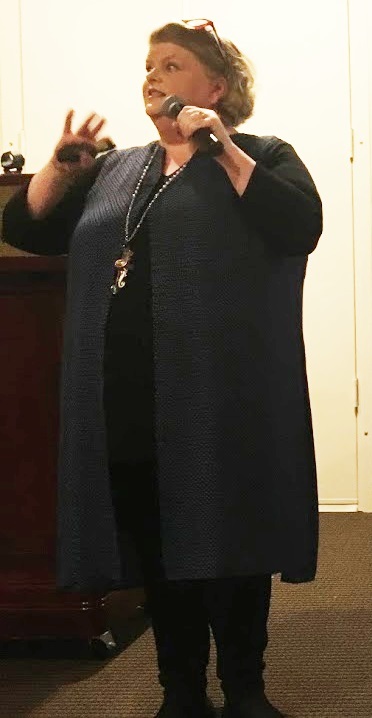 On May 11th, nearly 70 administrators and librarians gathered at the School Library System’s annual Sharing the Vision event for a morning of professional learning with a focus on leveraging the library to serve students in poverty. The morning’s keynote, Jennifer LaGarde, drew on her wealth of experience working with North Carolina schools as a “librarian on loan” through the state education department, as well as her own childhood growing up in poverty, to share stories and strategies of how school librarians can dramatically impact the lives of the children they teach. Jennifer advocated for school librarians as champions of independent reading, cultivators of reading communities, technology evangelists, and builders of significant relationships; likewise, Jennifer shared examples of libraries as learning laboratories and places with “windows and mirrors” where students can see themselves reflected, as well as learn beyond the scope of their experiences. The heart of Jennifer’s message is that librarians are uniquely poised to help students thrive by providing access, inclusion, encouragement, and opportunity. The Media Library is now home to two Lulzbot Mini 3D Printers. 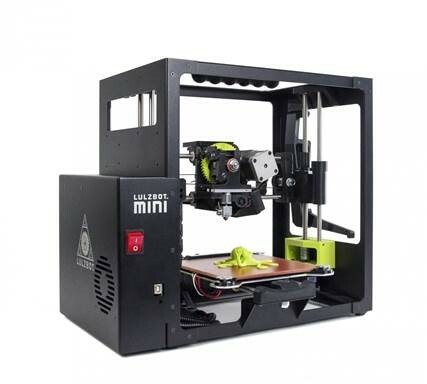 The Lulzbot Mini features a simplified system with a heated print bed, and is capable of printing a wide range of materials, from wood filament, to stainless steel filament, to magnetic and conductive filament. Interested in borrowing the Lulzbot? Register for our training session on October 19, 8-11 in ISC-C.